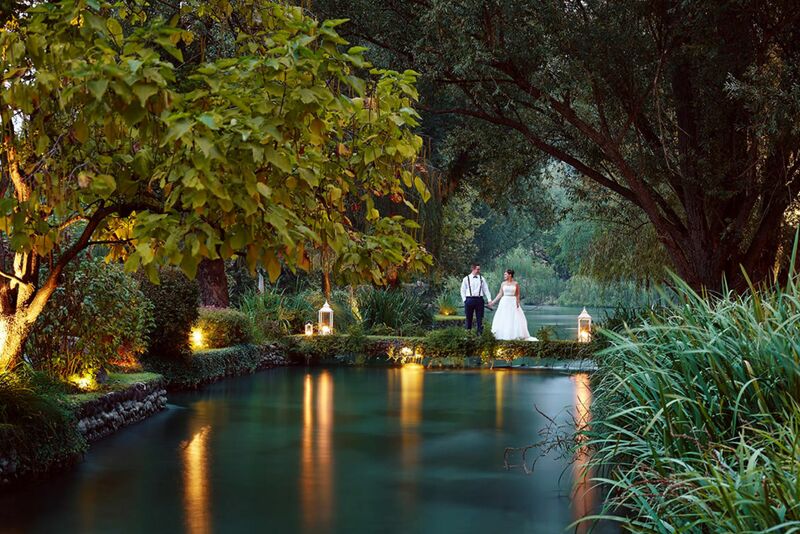 Lake Garda Weddings in Borghetto . Lake Garda's best kept Secret Wedding Venue. This has to be one of Lake Garda's best kept secret wedding locations and we can't wait to share it with you ! A picture perfect setting with historic watermills and a great selection of bars & restaurants to relax and enjoy this peaceful ,serene hamlet. We have amazing wedding venues here which are The Romantic Riverside Retreat, Parco Sigurta and a 17th Century Palace Villa. See further details on our reception venue menu on the right. We have a wide range of guest accomodation ranging from small luxury boutique hotels to apartments and family run hotels. We also have a wide range of hotels nearby on Lake Garda. 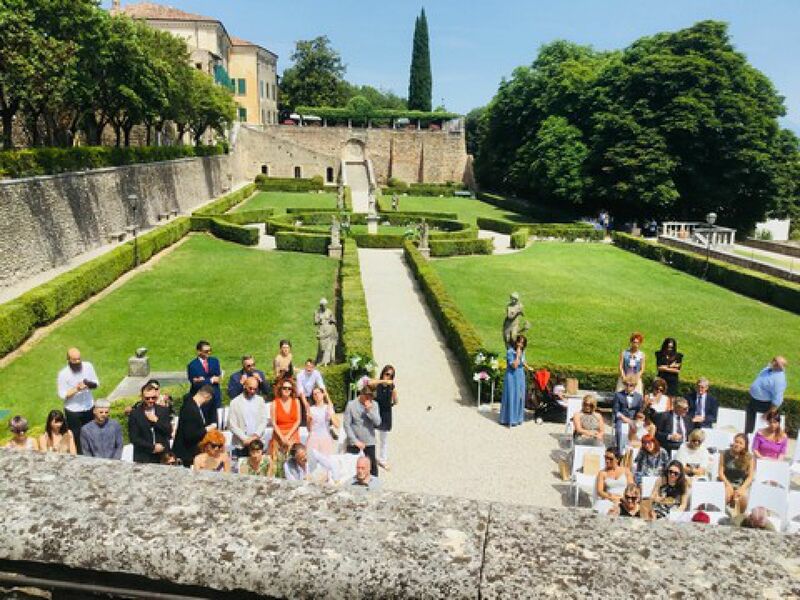 A legal civil ceremony can also take place in our 17th Century Palace Villa and in the Parco Sigurta. The gastronomical itineraries are also very famous and the gourmet speciality here is the famous “Tortellini di Valeggio” with its famous love story attached to the lover’s knot in the pasta. Delicious is the word that springs to mind and a dish that is never missing from all self respecting wedding banquets in the area. 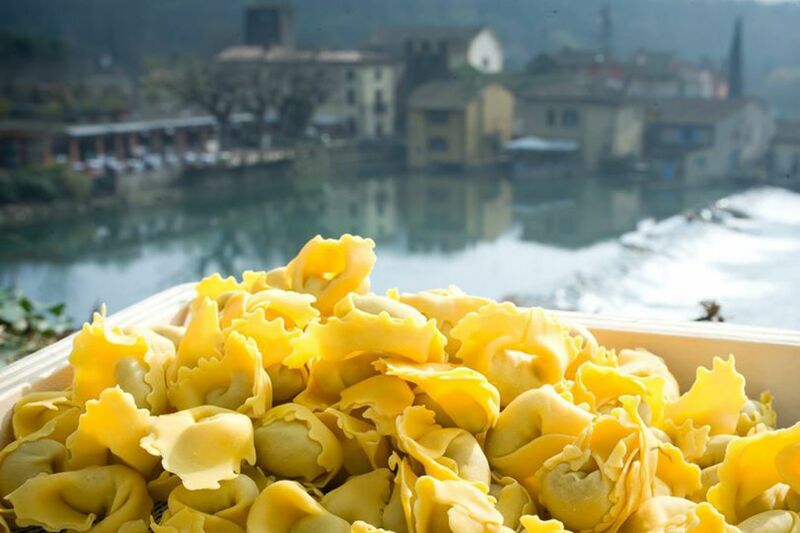 Every year a Tortellini Festival called Nodo D'Amore is held when a large table spreading the length of the famous bridge is laden with tortellini to honour this tasty dish. Remember to check out the famous wine areas too by visiting the vineyards of Custoza, Valpolicella and Lugana. Surrounded by The Colline Moreniche hill territory famous for its vineyards and high quality oil mills also offers a wide range of traditional and genuine places to visit and eat. Hire a bike and explore over 45 kilometres of cycle paths along the banks of the River Mincio to Peschiera del Garda, Mantua and the famous Sigurtà Park, a unique wonder of the world and only 5 minutes from Borghetto. Valeggio sul Mincio and Borghetto provide an excellent base for discovering the region which is full of castles and medieval villages each full of its own charm and beauty. The region offers numerous possibilities for activities such as: horse riding, fishing, golf, sailing, tennis, museums and antique markets. Not to be missed is The Parco Sigurtà, Gardaland, Movieland, the Cavour water park, the Natura Viva park and the local spas. For golf fans, the Golf Club Paradiso,Golf Club Verona,Gardagolf Country Club and the Palazzo Arzaga Golf Resort are within easy reach. This is without a doubt the ideal resort for those of you seeking something far from the crowds of Lake Garda but at the same time with the lake's lively resorts right on the doorstep when you need that cosmopolitan fix ! 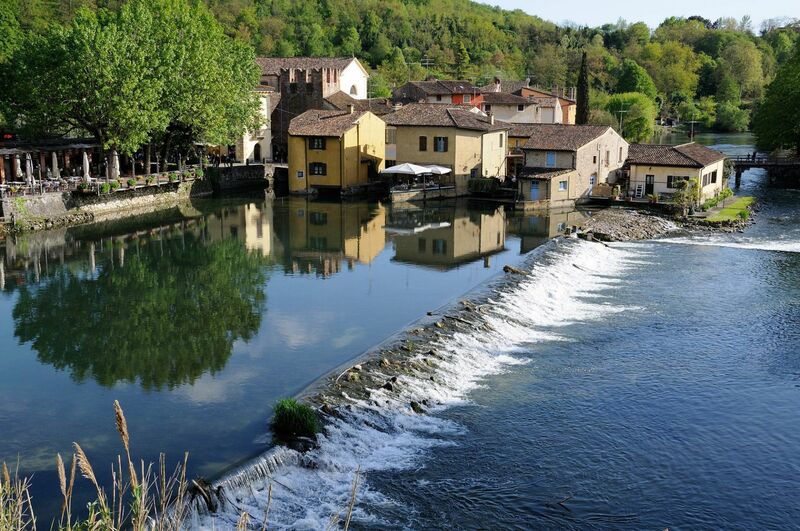 I am sure that like me you will be blown away by the sheer romantic atmosphere and that Borghetto's magic will capture your hearts forever. This is a place that has to be seen to be believed and is an amazing setting for a romantic wedding on Lake Garda. 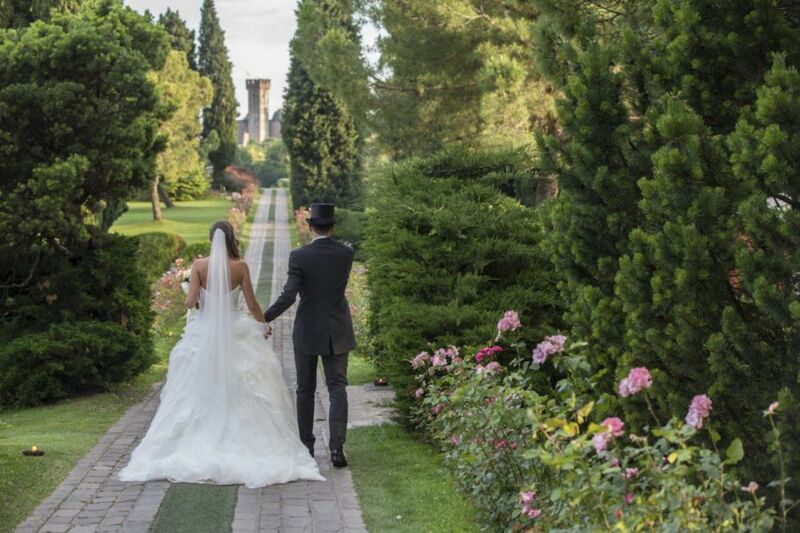 Dream Academy’s Lake Garda Weddings in Borghetto sul Mincio That’s Amore !